St. Martin’s has Altar Servers at all Masses. They are reverent and prayerful young people who are willing to participate fully in the liturgy, as reflected in their actions and responses. This ministry is open to those in Fourth Grade and beyond, who have celebrated their First Communion. We currently have almost 50 servers. Our Altar Server Coordinator is Ruby Bustamante, whose children are also Altar Servers. For more information about this ministry, please contact the Liturgy Office at 289-9614. Your commitment to the altar is not only a duty, but a great honor, a genuine holy service. In connection with this service, I wish to propose some reflections to you. The altar server´s clothing is very special. It recalls the garment that each one puts on when he is welcomed in Jesus Christ in the community. I am referring to the baptismal gown, whose profound meaning St. Paul clarifies: “For all of you who were baptized into Christ have clothed yourselves with Christ” (Galatians 3:27). Even if you, dear altar servers, can no longer fit into your baptismal gown, you have put on [the clothing] of altar servers. Yes, baptism is the point of departure of your “authentic liturgical service,” which places you next to your bishops, priests and deacons. The altar server occupies a privileged place in the liturgical celebration. 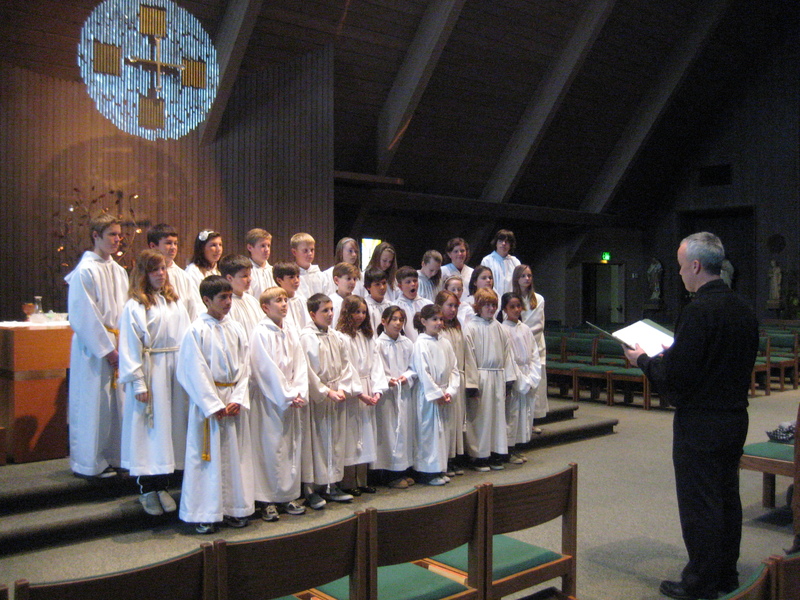 The altar server presents himself or herself to a community and experiences firsthand that Jesus Christ is present and active in every liturgical act. Jesus is present when the community comes together to pray. and give praise to God. Jesus is present in the Word of sacred Scripture. Jesus is present above all in the Eucharist under the signs of bread and wine…. Therefore, in the liturgy, you are much more than simple “helpers of the parish priest.” Above all, you are servers of Jesus Christ, of the eternal High Priest. 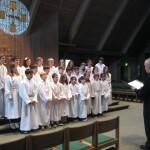 Thus, you, altar servers, are called in particular to be young friends of Jesus. Be determined to go deeper and to cultivate this friendship with him. You will discover that in Jesus you have found a true friend for life. The altar server often has a candlestick in his or her hand. How can one not think of that which Jesus says in the Sermon on the Mount: “You are the light of the world” (Matthew 5:14). Your service cannot be limited to the inside of a church. It must shine in everyday life: in school, in the family, and in different realms of society. Because, whoever wishes to serve Jesus Christ inside a church must be his witness everywhere…. Upon you and your families I invoke the grace and peace of our Lord Jesus Christ.